What. The. Hell. A “curated oasis” for psychopaths and serial killers perhaps! “Curated Oasis” would be a great name for a horror movie. HA! I would hate to be Billy’s sister. Everyone needs an M.O. – sometimes the teddy bear has to get it. 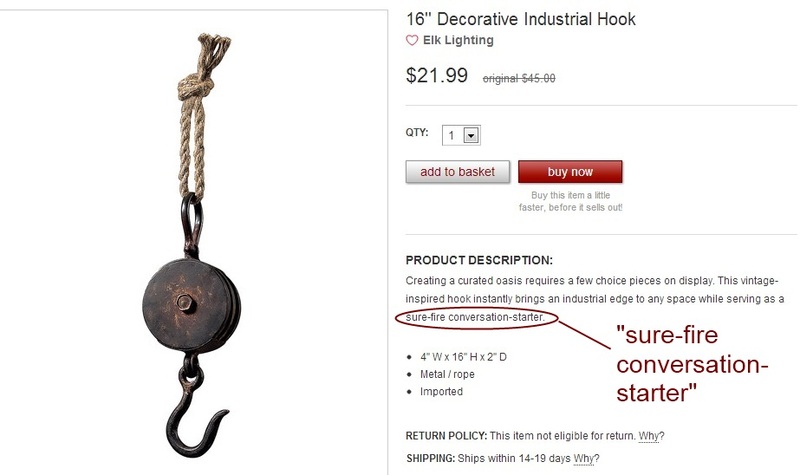 I’m not a big fan of conversations, so I think this meat hook isn’t for me. I feel the same way – “conversation starter” is not a selling point for me. For the burgeoning psycho in your home . . . great for practice on small animals AND small children! I don’t know why they don’t mention that in the description. It’s probably bad that my son would squeal with glee if I got his this, isn’t it? Nah, it depends on what he’d do with it, of course. Little Dexter will be so happy… Hey… Where’s the cat? 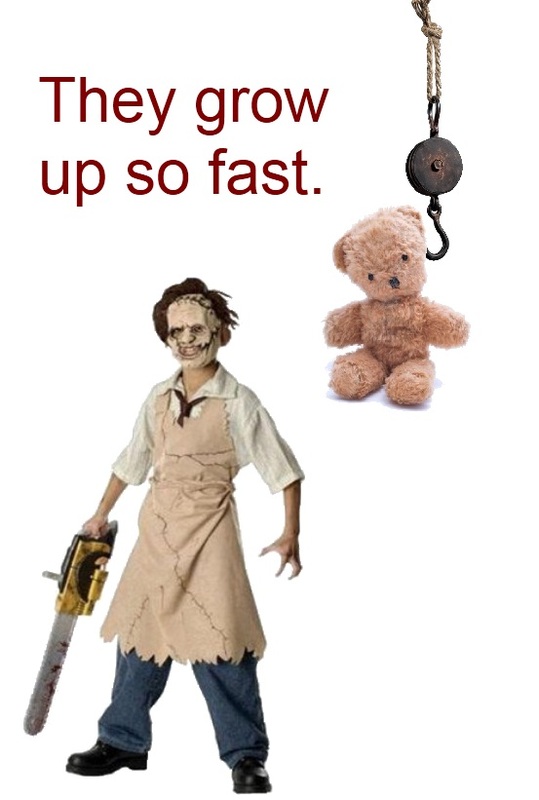 Little Dexter moved past teddy bears reaaaaalll fast. Why do you think the meat hook isn’t eligible for return? Because they know how it would be used.